This week I received four book covers. I had to show them off. All are gorgeous. Plus this will give you a little tease on future book giveaways. Lynn Marie just received the cover art for her new book illustrated by David Rodriguez Lorenzo. (Front Above) (Back below). 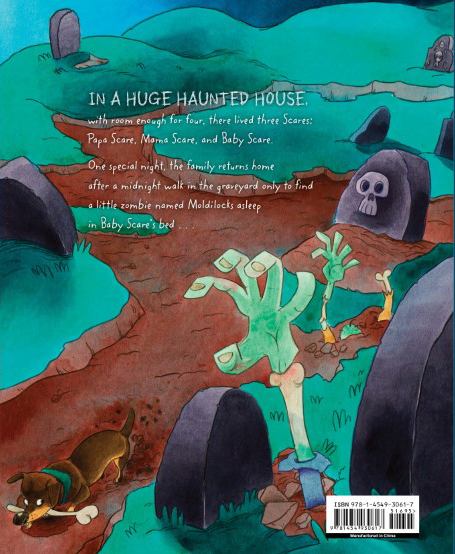 This latest picture book is coming out from Sterling Publishing on August 6th. It is a fun, shivery take on a favorite fairy tale! 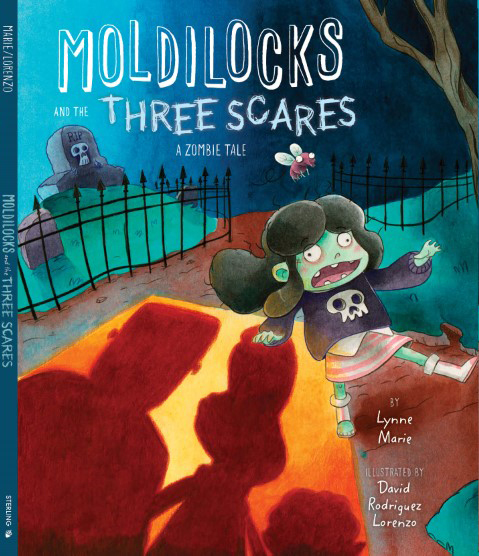 Forget Goldilocks and the three bears—MOLDILOCKS and the THREE SCARES here is a delightfully zombie-tastic new version of the popular story. 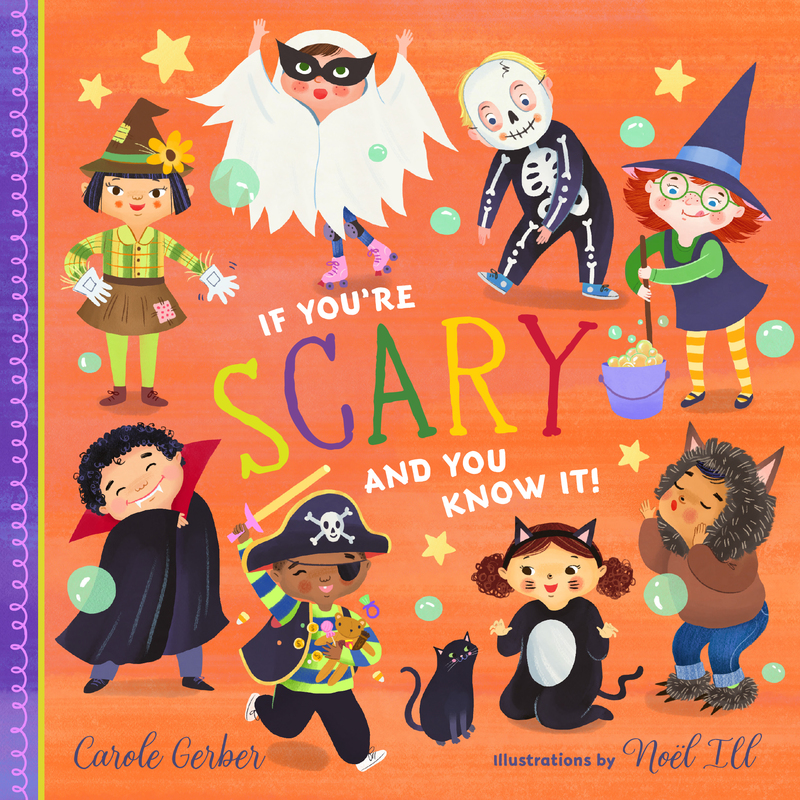 Carole Gerber has IF YOU’RE SCARY AND YOU KNOW IT coming out early in September for Halloween. 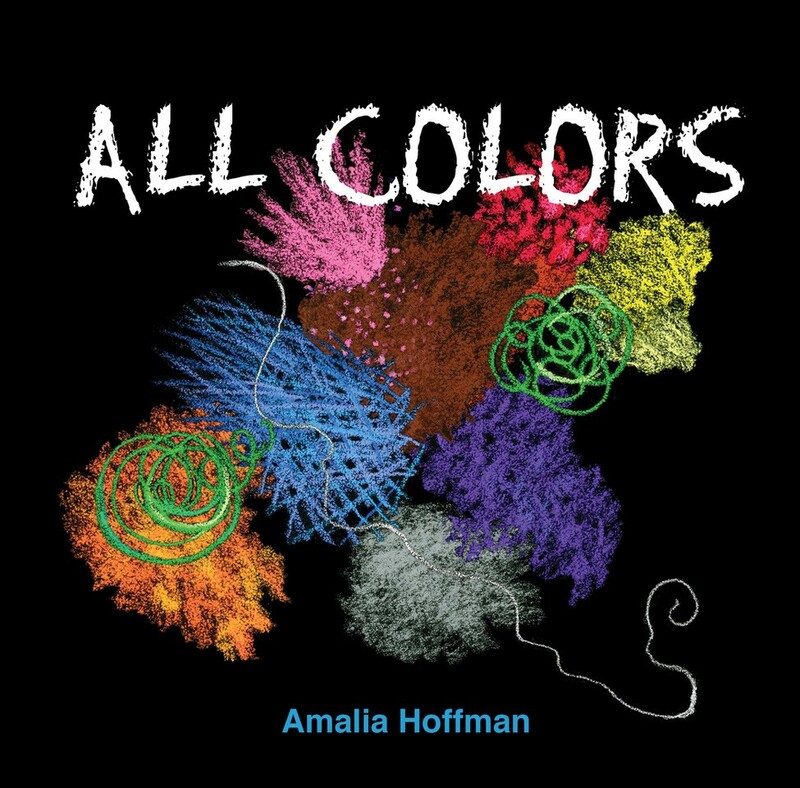 It is illustrated by Noel Ill.
Amalia Hoffman has two cover reveals – Lucky Lady! 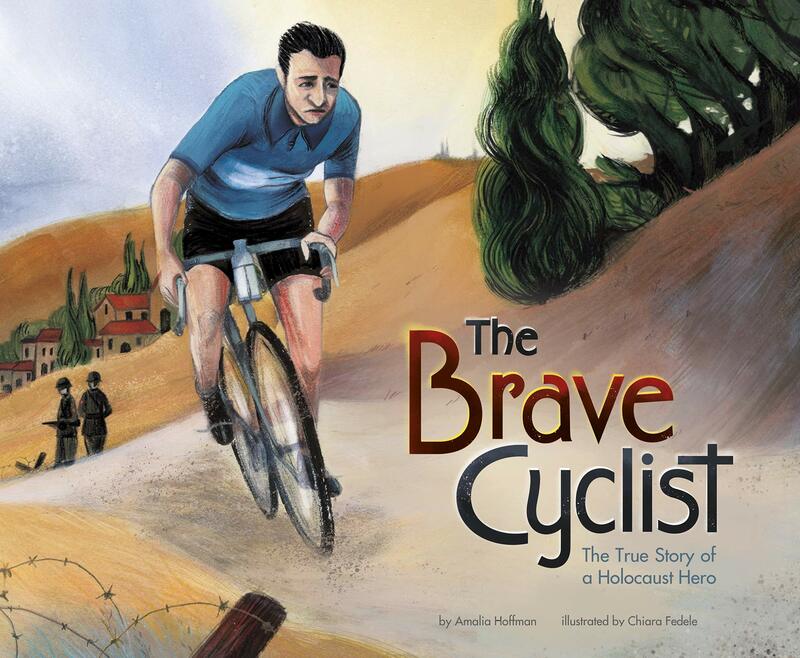 THE BRAVE CYCLIST is coming out in August, 2019 by Capstone Publishing. ALL COLORS Board Book is coming out in Fall 2019 by Schiffer Publishing. At Algonquin Children’s, Sarah Alpert has been promoted to associate editor, now acquiring middle-grade and young adult fiction and non-fiction and graphic novels. At Little, Brown: Alexandra Hoopes has been promoted to assistant editor; Lucy Kim is now art director and Tim Harrington is senior art director. Thanks, Darlene! I for one am pleased to be part of such a fun bunch of covers! Thank you, Kathy, for sharing the cover of IF YOU’RE SCARY. I love Noel’s playful illustrations! Oh my gosh! I love it, Lynne Marie and David. Congratulations!!! Thank you, dear Candace! Thanks for celebrating with me! Thank you so very much, Kathy for letting David and I reveal Moldilocks to the world on you blog! Look at those bright beautiful book covers. I look forward to reading all. I’m so excited to be a winner of Josh Crute’s book, OLIVER: The Second-Largest Living Thing on Earth! I requested the book from the library. It’s a delightful. Congratulations, Prairie Garden Girl — that looks like such a fun book! Enjoy! And THANK YOU! Thank you, Lynne Marie. I look forward to reading your book, GOLDILOCKS AND THE THREE SCARES. Time to read, write, create, and plant some more seeds. Awww, thank you. I appreciate your support! YAY Amalia, with two books / two covers! Amalia and I were both in a Critique Circle at SCBWI NJ when Kathy Temean was Advisor! I am looking forward to my second Cover Reveal here, as well. Wishing you all the best of success, Amalia — can’t wait to read your books. And Kathy Temean — thanks for all you continue to do for us!